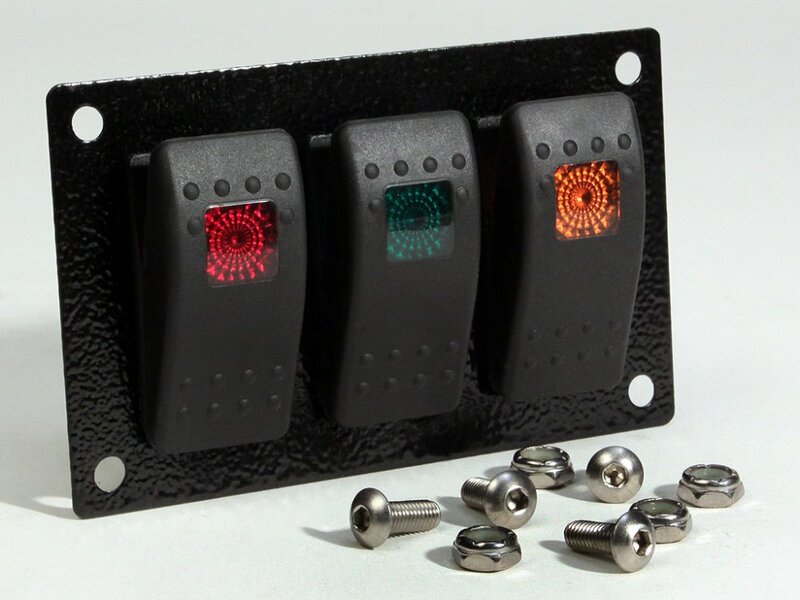 Do you need a few high quality switches for driving lights, rock lights, back up lights, 12 volt air compressor, lockers, radios, auxiliary fan or? Well, here is a simple and flexible solution. 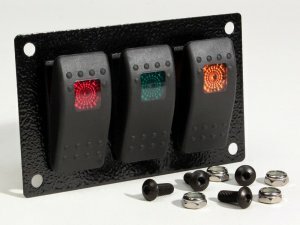 Three illuminated Carling Contura rocker switches that mount in the dash or in a variety of locations in many vehicle! Black Powder Coated Steel Panel Measures 4 5/16" x 2 5/8"